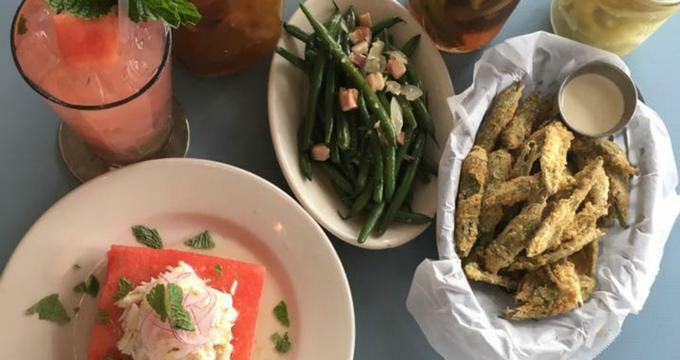 Located at the corner of Freret and Jena just a block away from Napoleon is the High Hat Cafe, New Orleans’ casual neighborhood restaurant which features catfish as its specialty dish. Here, guests can sample the generous servings of fried catfish coupled with support dishes like roasted chicken, bbq shrimp, slow roasted pork, and fresh gulf fish. The restaurant only uses fresh, farm raised catfish, shrimps, and gulf fish from local sources. Finally, High Hat Cafe offers a wide selection of wines, draft beers, and craft cocktails, completing the dining experience. With good ambiance and an consistently good service crew, High Hat Cafe is a pretty solid lunch and dinner choice for locals and tourists alike. High Hat Cafe accepts reservations online, but restricts it to those who are making reservations for at least eight people. Aside from the regular menu, High Hat Also offers an entire section of daily specials and an extensive list of cocktails. Of course, High Hat Cafe wouldn’t be without its signature fried catfish. Daily Specials: features a seasonal salad using locally grown ingredients, pies, and more. For more information and any inquiries, call 504-754-1336 or send them an email via their website.